I want it known on the record that I do not have a bag problem. It’s totally in check and I only have like 15, and everything is fine. That being said I bought another bag last week (to reward myself for surviving all the papers/presentations/midterms) and it’s just super cute. It also fits all my stuff, and is big enough for my laptop which is actually a struggle I deal with often. What’s in my front pocket: Little Burgundy bag, Urban Outfitters cat wallet, earbuds, WatCard, NYX Butter lipstick, keys. 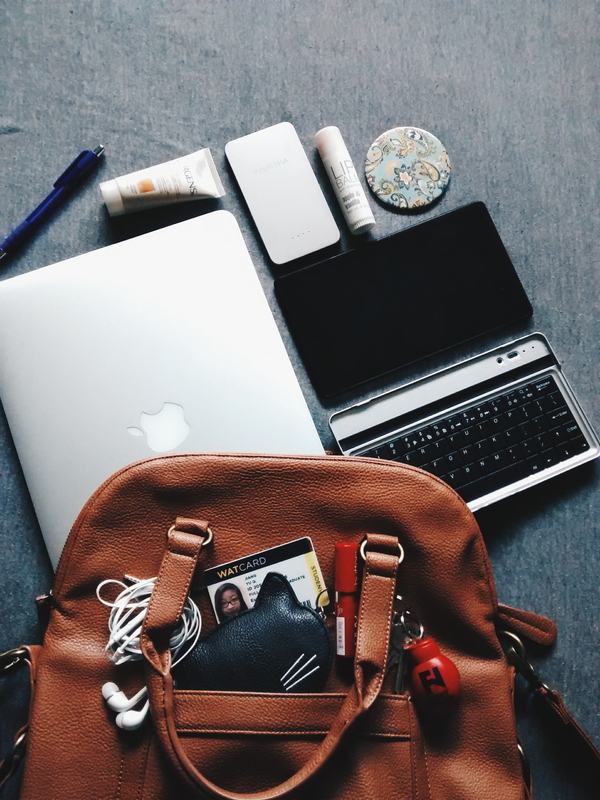 What’s in the bag: Macbook Air, Nexus 7 tablet, bluetooth keyboard, portable charger, pen, lotion, lip balm, mirror.